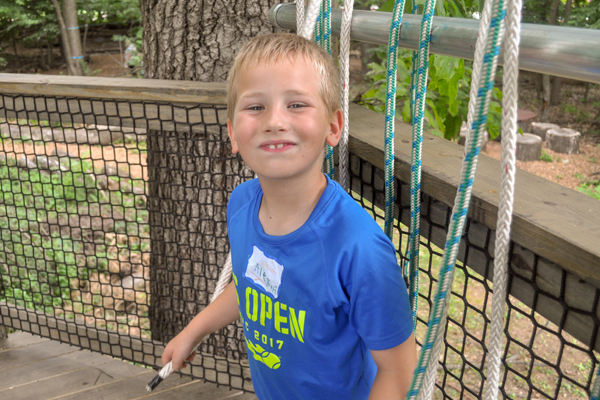 LEAP, SWING, JUMP, CLIMB! 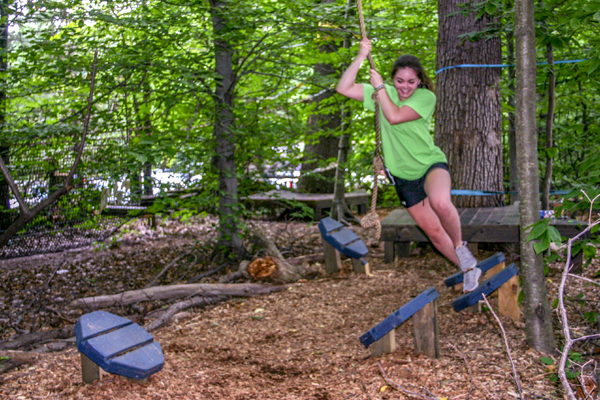 This action-packed wooded free play area has several obstacles to challenge your strength and endurance. 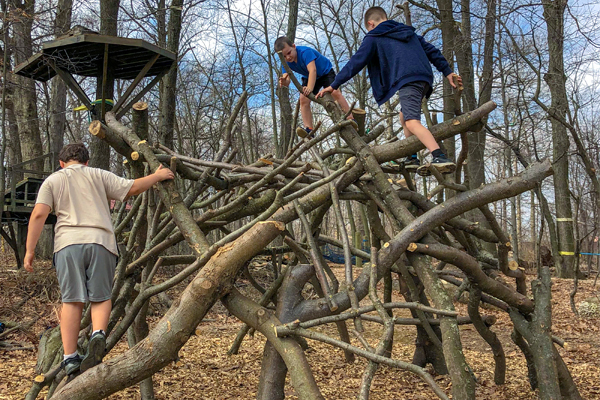 Climb to the top or swing from below, the Warrior Dome is sure to thrill your sense of accomplishment. Knots are used for sailing, rock climbing, camping, boating, fishing, surgery, decorating and many more different activities. What knot can you tie? Race to the center or relax with a friend or two. 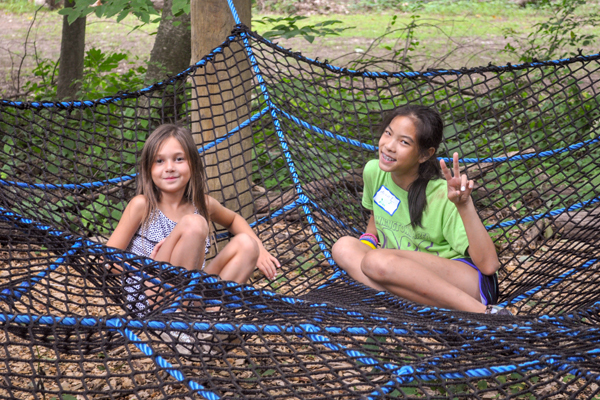 Try not to get tangled in the spider's 16 foot web. 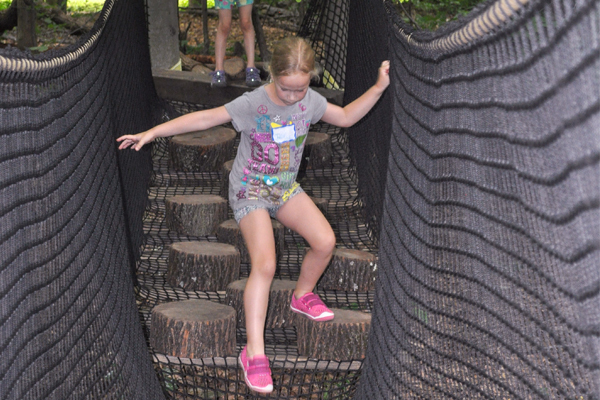 Balance beams are an amazing sensory outlet for all kids and adults! They encourage stability/balance as well as body awareness about where their body is in space. Use your speed, efficiency, and generally a good deal of grace. The trick is to be able to keep upright and moving. Are you a daredevil? 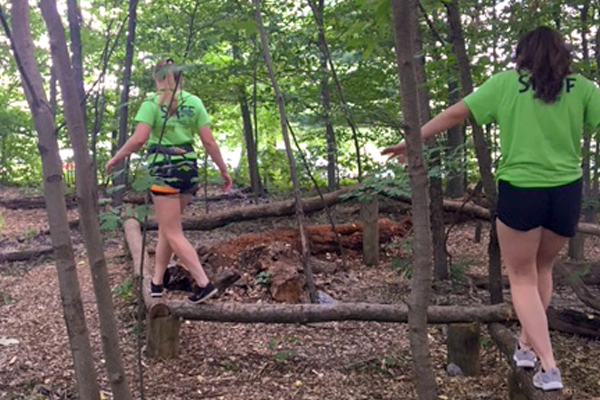 We have challenging obstacles to jump over, nets to climb, ropes to swing, and enjoyment to experience.